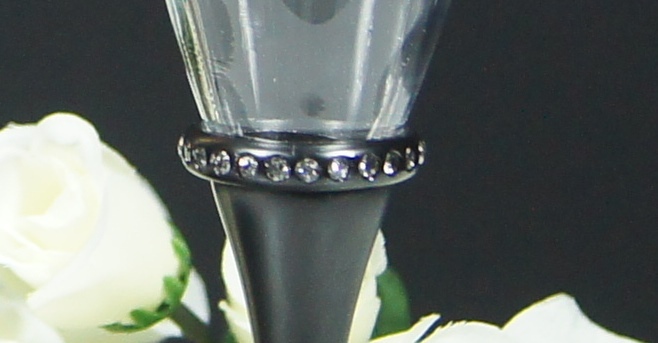 This elegant black stem diamante band champagne flute will be sure to impress any of your friends! Makes a great Milestone Birthday present. 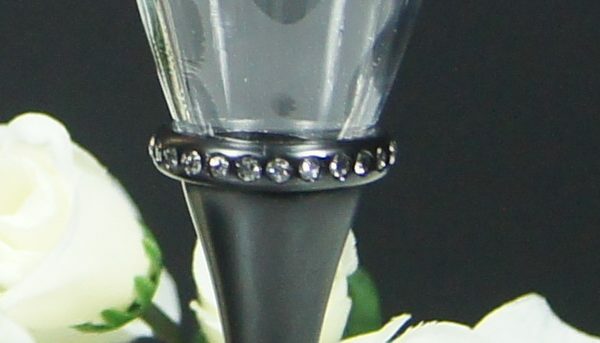 Featuring diamante’s around the flute base and an elegant black stand and base. This glass is packed in its own gift box. 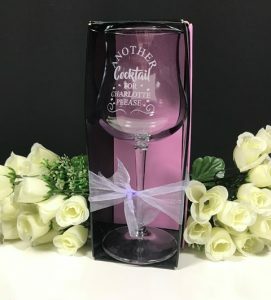 Team up with our great selection of fonts and graphics to make a unique and personalized gift. 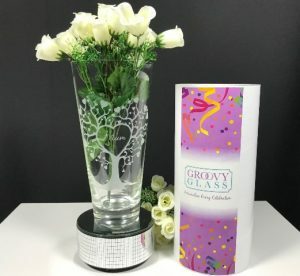 Select the design option that you would like for your glass. 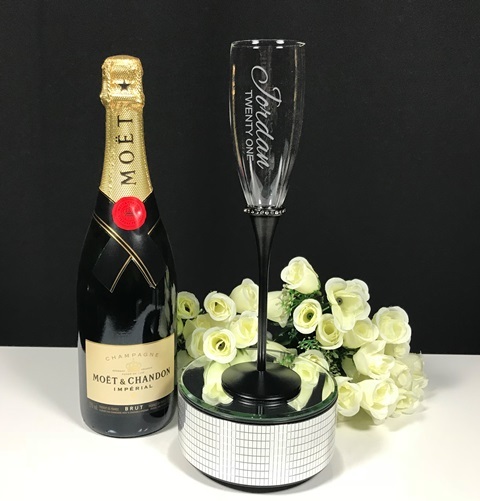 Our elegant Black Stem Diamante Band Champagne Flute makes a great individual gift. 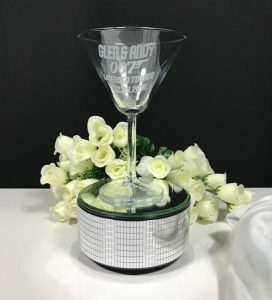 You can choose for your glasses to be clear etched or filled with gold, silver or black lettering and these options can be chosen from the drop down menu above. Choose the graphic and font style to suit and make it your own design. Please note when you are doing color fill option that you use thicker script fonts and not the finer script fonts like Edwardian Script. Your glasses will be designed with the same layout as the main image above and you will receive a proof via email before your glasses are sent to production. If you would like a different layout please enter these details in the special instructions section above.